It was like Istanbul 2010 all over again as the battling Red Bulls managed to take each other out of the race on lap 40, throwing away a chunk of championship points in the process. The collision -- which saw Daniel Ricciardo rear-end Max Verstappen, pitching both men into the Turn 1 escape road -- was the inevitable outcome of a battle that started when the pair banged wheels on lap 12, starting a race-long dice for track position that the Red Bull pit wall encouraged as long as it was kept clean. 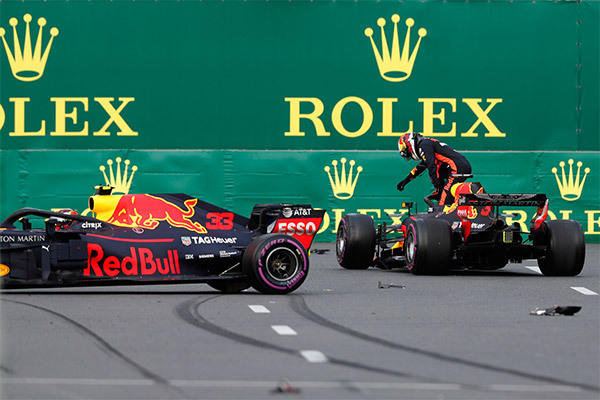 Verstappen had previously shut the door on Ricciardo on more than one occasion, but it was the young Dutchman’s repeated moves under braking that ultimately led to the race-ending shunt. Ferrari protege -- and Sauber driver -- Charles Leclerc scored his first F1 points during his fourth grand prix, crossing the line in an impressive sixth place, five positions ahead of his vastly more experienced teammate. 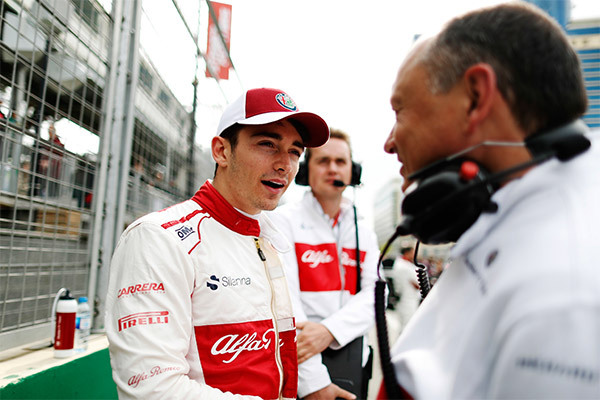 Having dominated F2 last season, Leclerc arrived in the Formula One paddock with a weight of expectation on his shoulders, and in Baku on Sunday the Monegasque racer showed what he was made of, making the most of the strategy put together by Ruth Buscombe and keeping himself out of trouble in what was a race of high attrition. The future Ferrari star’s performance will have both Raikkonen and Vettel watching their backs. After an exciting start, the third running of the Azerbaijan Grand Prix looked like it was turning into something of a damp squib. But the final ten laps following the double retirement from Red Bull delivered a chaotic thriller. Sebastian Vettel lunged for the lead on the Safety Car restart, and locked up in the process, running off track and dropping to fourth with a nasty flat spot. Bottas inherited the lead, ran over debris, and was out of the race. 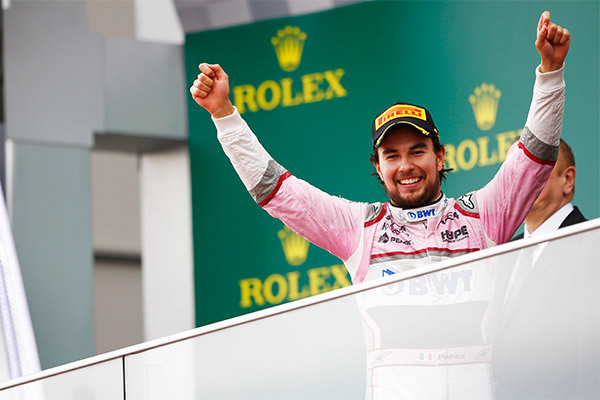 Hamilton was in prime position to secure his first win of 2018, while Vettel fell prey to the Force India of Sergio Perez, the Mexican taking the third podium place behind Kimi Raikkonen. The title fight is alive and kicking. Get up close to your favourite Mercedes’ drivers at the exclusively curated Mercedes-AMG Petronas Motorsport Experience at the FORMULA 1 2018 SINGAPORE GRAND PRIX, hosted at the legendary Silver Arrows Hospitality Suite. Find out more here.